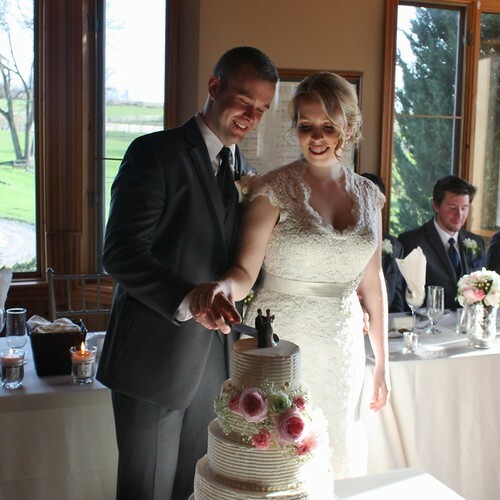 I’m am incredibly excited to announce that Garrett and I got married! Woo hoo!!!! I’m still floating around on cloud nine after an incredible weekend, but I wanted to pop in with some photos that my cousin took for me while we wait for the ones from the photographer. The weather was perfect and the party was hopping the whole time. We couldn’t have asked for a better way to celebrate our union with our dearest family and friends. 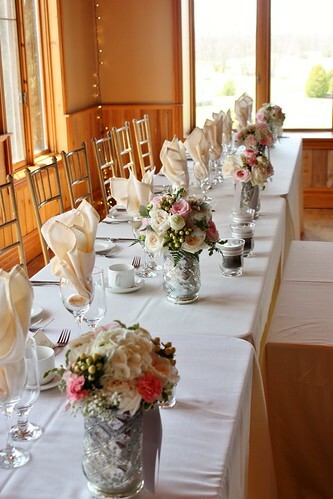 The decor and flowers (done by my incredibly talented mother) turned out just as we’d envisioned with the help of our families and a knock out wedding party. 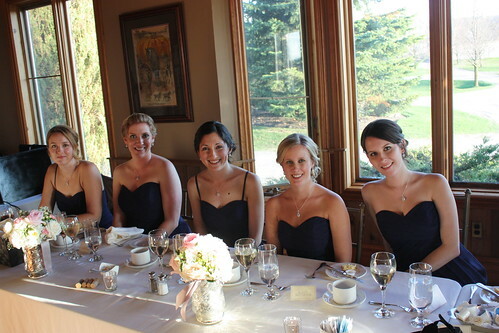 My gorgeous bridesmaids who were all such a big help in all the events leading up to the wedding. I love all these ladies so much and it meant alot to have them there with us to celebrate. 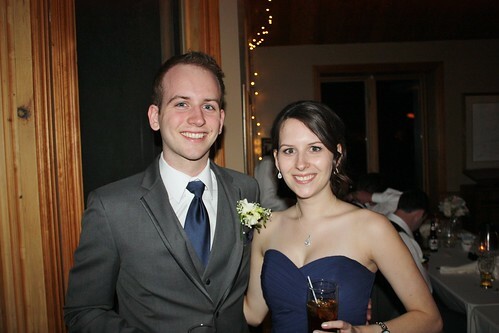 I also have to give a big thank you to my handsome brother/groomsman and my beautiful sister/maid-of-honor. They both gave such heart warming speeches that brought tears to my eyes. I’m so proud of them! We had many friends and family who made the long trip into town for the wedding, from places as far as Colorado, Alberta, New Brunswick and Nova Scotia. It meant the world to us to have them all there to celebrate. The pretty ladies in this photo are all the girls I lived with when I was at school. Now that’re were spread all over the country, we don’t get the chance to get together as often as we’d like, but when we do we pick up right where we left off…and there is always lots of wine and dancing. 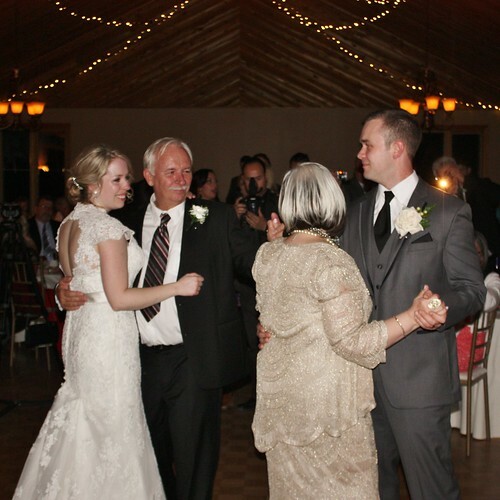 There are so many amazing moments from that night, but a big one was dancing with my father to “What a Wonderful World”, and then looking over to see my new husband dancing with his mother. I couldn’t stop crying happy tears. Thank goodness for waterproof eyeliner. A BIG thank you to everyone who has sent us well wishes. We both had the most amazing time and I can’t wait to share more of it with you all here. Well done Amanda. I’m glad you had such a great day. Your lacey dress really suits you . Beautiful. It was a wonderful day…you were simply radiant! You could feel the love between you and Garrett. congratulations!! you were a beautiful bride. 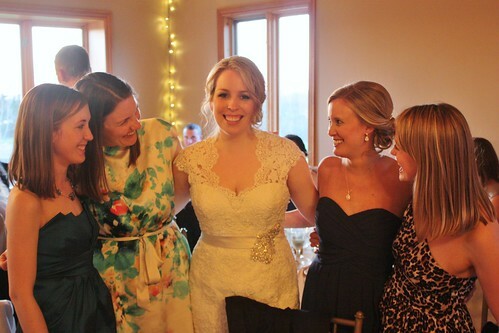 You were a beautiful bride! So happy you had wonderful weather, and a wonderful time with family and friends. Your mother did a beautiful job with the flowers and such. Lovely pictures! 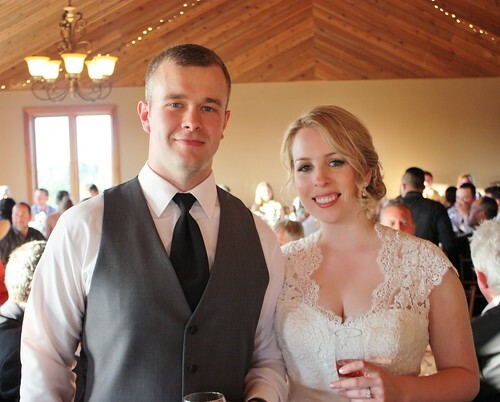 You were a gorgeous bride, thank you for sharing!